On October 13, 2016 St.Petersburg Arts project will partner with Vilnius-based Sodų 4 to host an informal presentation of CYLAND’s activities by Berlin-based curator Hannah Nelson-Teutsch. The brief talk will be will be followed by a Q/A and brainstorming session exploring possibilities for new collaborations and partnerships in Vilnius and around the world. We hope you can join us for informal night of drinks, snacks, and great conversation. In 2007, CYLAND began organizing Art::Tech happenings in St. Petersburg, and after nearly a decade of exponential growth, today CYLAND exhibits ground-breaking artists in exhibitions around the world from Berlin to New York City, Tokyo, Bogota, London and beyond. Now, CYLAND is looking to strengthen ties to Vilnius. 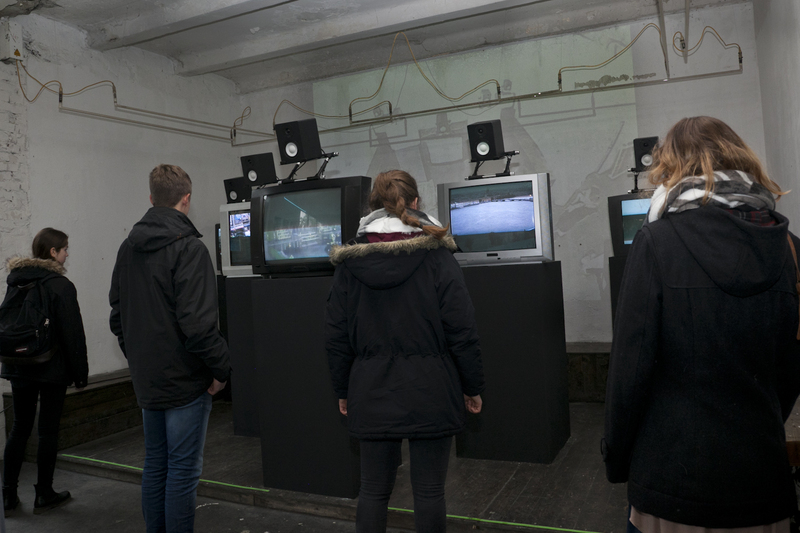 The event is organised by CYLAND MediaArtLab in collaboration with Lithuanian Interdisciplinary Artists’ Association, and with kind support from St.Petersburg Arts project, Inc. and Lithuanian Council for Culture and the Ministry of Culture of the Republic of Lithuania. Copyright © 2016 S-Pb Arts Project. Site supported by "Net Artis"